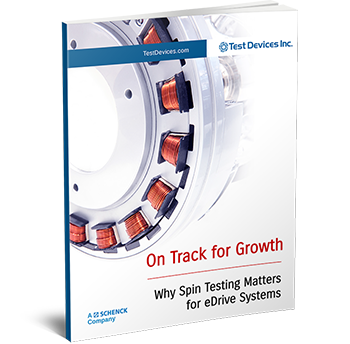 Why Spin Testing Matters for eDrive Systems | Test Devices Inc. Designing rotors that exhibit the structural integrity, proper balance, and durability to tolerate high-performance applications is becoming crucial to the advancement of eDrive technologies. Fill out the form to access your copy of the eBook.